The Earring Collection: Last chance to get something special for Christmas! Last chance to get something special for Christmas! Christmas is really approaching now and everyone is looking for that special gift to surprise and make someone happy. 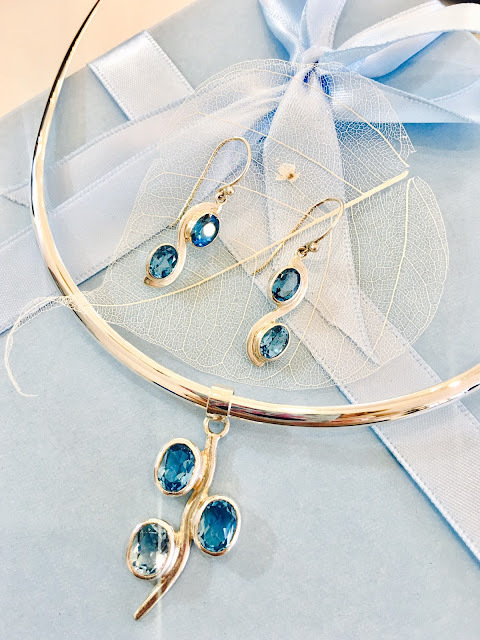 So we are glad to show you today more stunning and unique Jewellery Gift Sets with the elegant and timeless Blue Topaz, the intriguing Blue Sandstone, all set in beautiful Sterling silver. 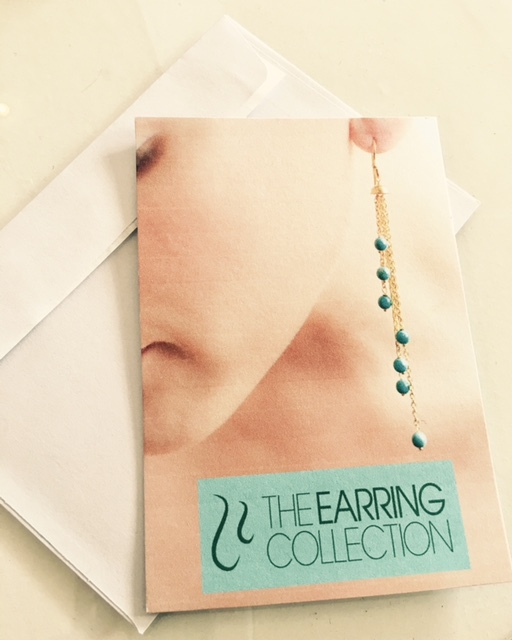 Each piece is hand-made specially for The Earring Collection and each set comes in a gift box with silk ribbons - ready to surprise your loved ones. 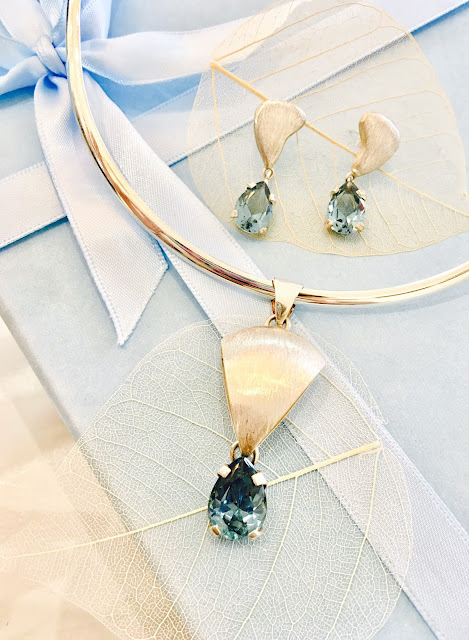 The Blue Topaz drop set comprises brushed Sterling silver stud earrings with Blue Topaz drops and a matching pendant on our hallmarked Sterling silver Collar - all presented in a beribboned large gift box - all this for £290. Please ask us for individual prices. A stunning suite, hand-made using Sterling Silver, our hallmarked silver collar and beautiful Blue Topaz gemstones, so colourful and precious (and fabulously gift-wrapped), £ 280. Very sparkly and festive! 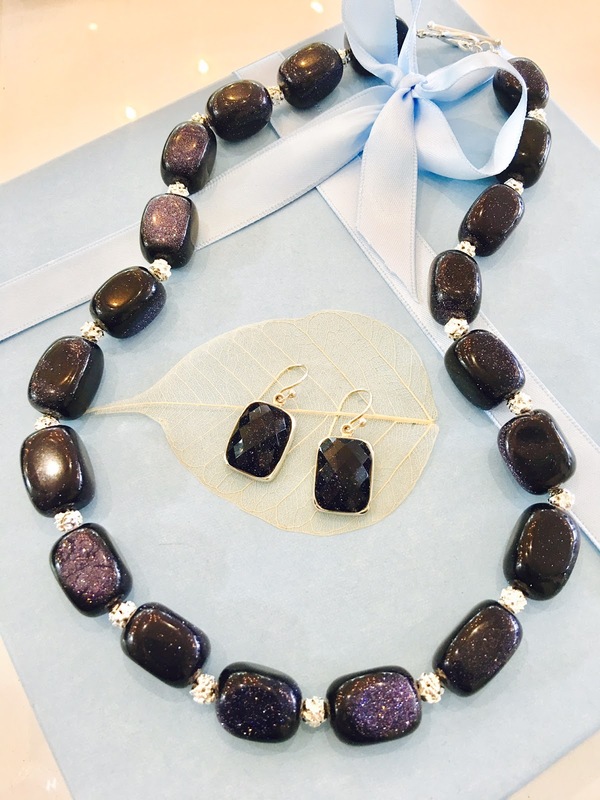 This unique Blue Sandstone Jewellery Set comprises hand-made necklace and matching drop earrings, all findings are sterling silver. This one-off set is presented in a large beribboned gift box - all this for £344. ... you’re actually giving the opportunity for the receiver to indulge themselves in jewellery! Open EVERY day until Christmas Eve!